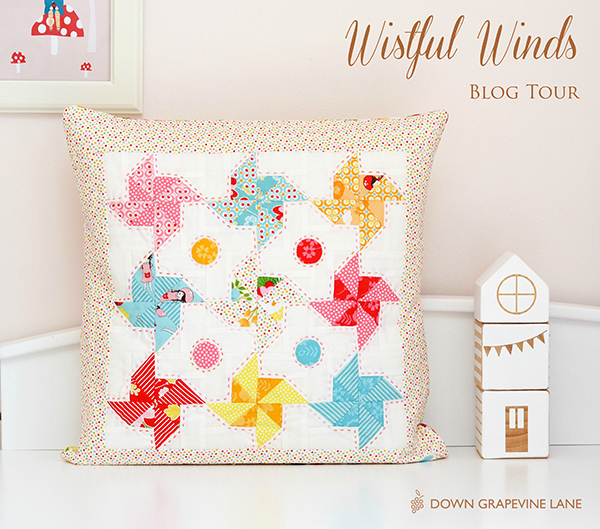 Welcome to my stop on the Wistful Winds blog tour, showcasing the gorgeous new collection by Shari Butler of Doohikey Designs for Riley Blake! 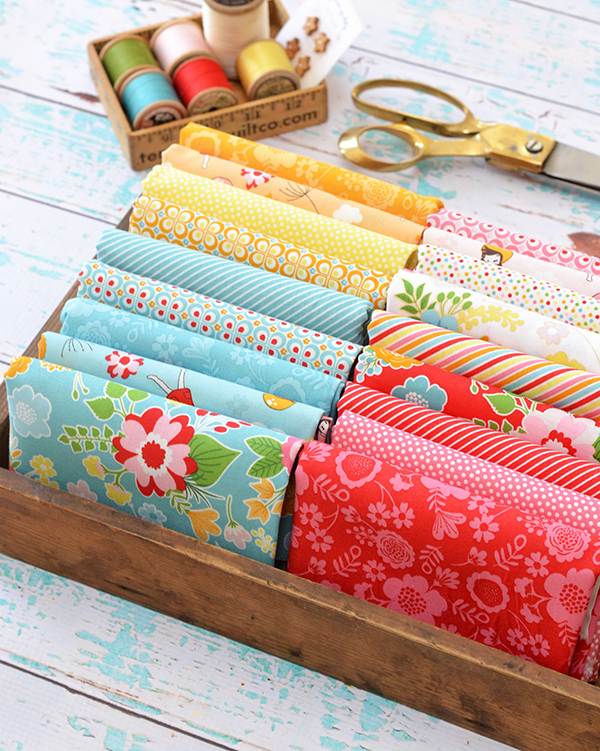 I had the great pleasure of meeting Shari at the spring quilt market in Salt Lake City - her booth for Wistful Winds was right nextdoor to mine for Sweet Orchard. 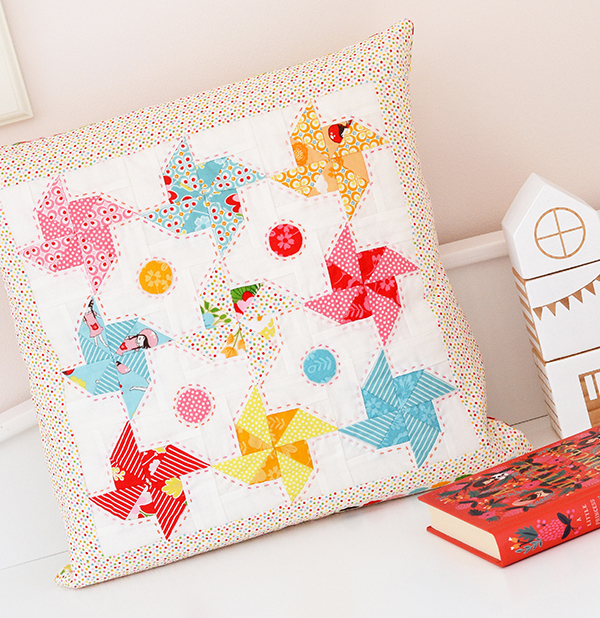 I fell in love with the cheerful colours of her collection then, and when she asked me to join her blog tour I knew I had to make this pinwheel cushion, which is one of the designs from my new book, Quilt Petite. 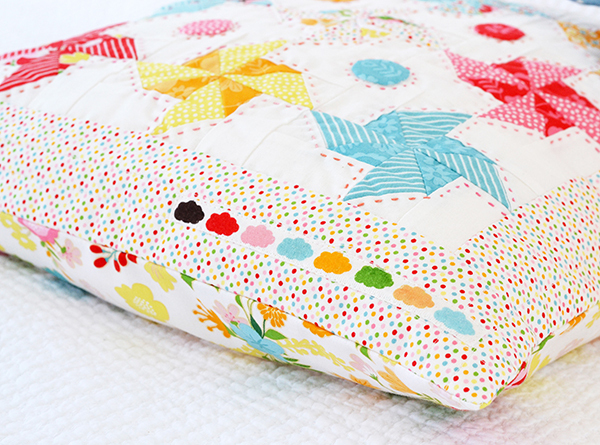 My favourite part about this cushion has to be the little selvedge cloud detail! 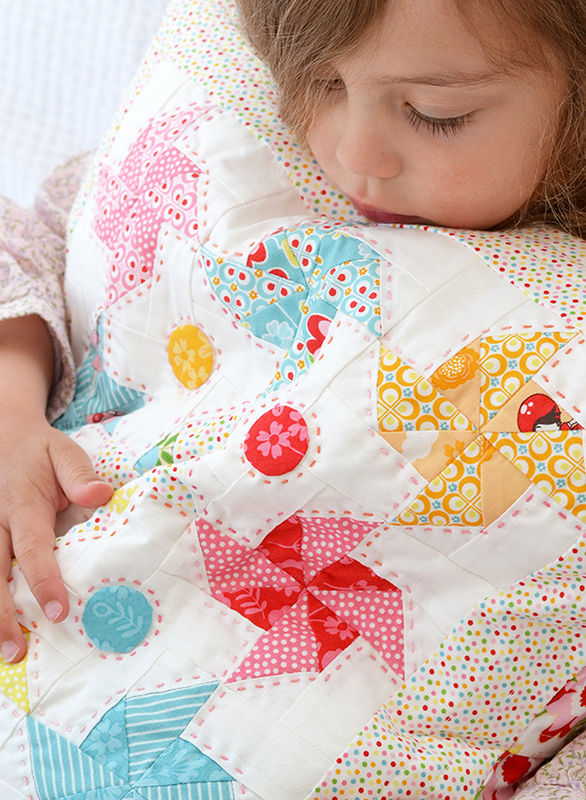 I love Riley Blake selvedges, they are always so sweet, so why not incorporate them in projects? Don't you agree? And Alice immediately claimed it, of course. Lucky she has a queen size bed as her cushion collection is getting pretty big! Would you like more Wistful Winds inspiration? Here's the full schedule for the tour - see what all these other makers are creating with Shari's fabric! I love that your daughter has claimed the pillow! And I love you made the project from your book! You are such an inspiration! Thank you for being apart of my tour! What a beautiful post, Sedef! 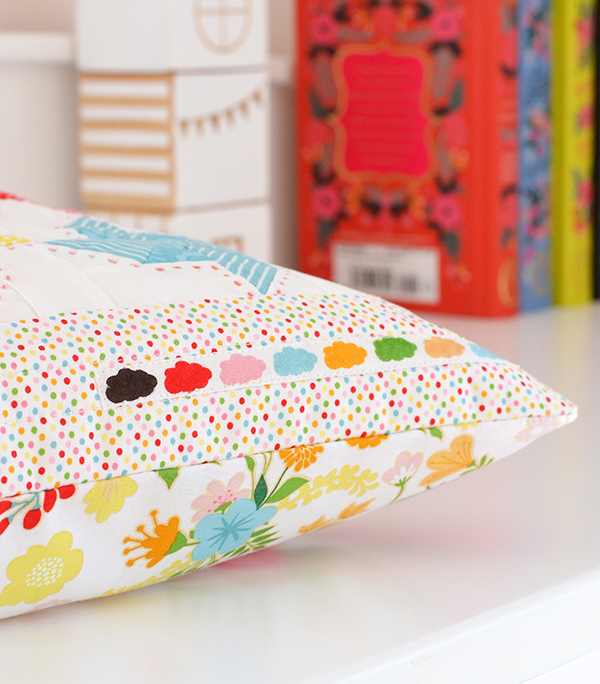 Beautiful daughter, beautiful pillow and beautiful fabrics! I love that selvage and how you included it in your pillow...very clever! 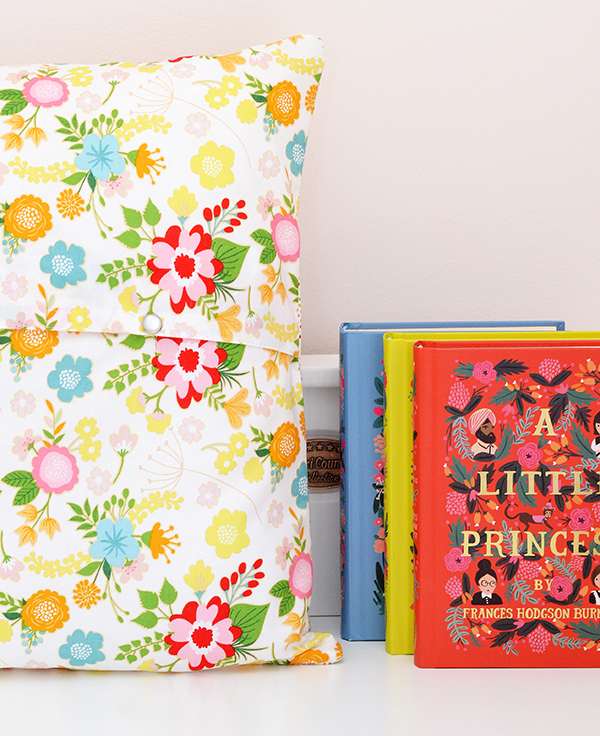 This looks like a book and fabric I need to have! 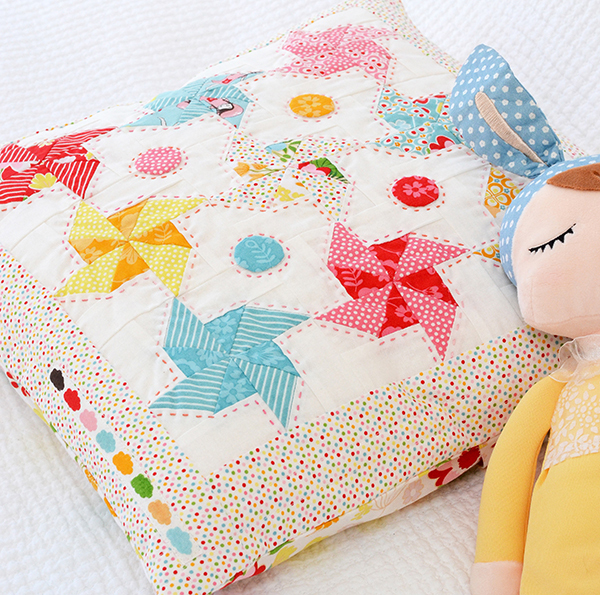 You just make the cutest projects. 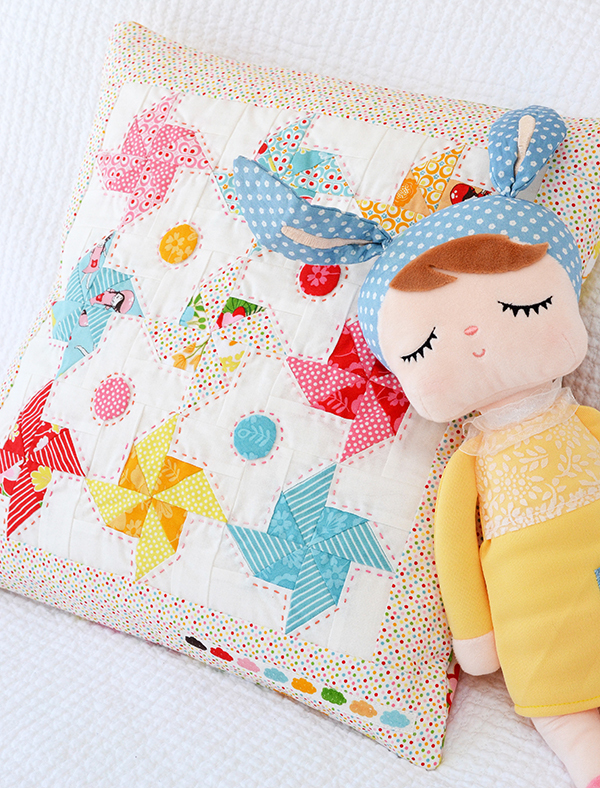 Love your pillow blocks with this cute fabric!! what a sweet pillow! 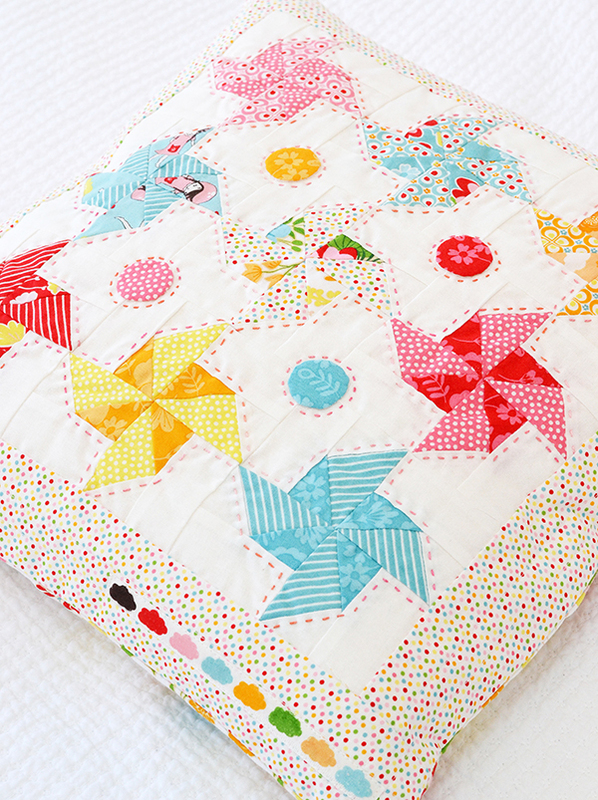 I love pinwheels and the bright colors of your pillow are just so happy! Another beautiful creation! 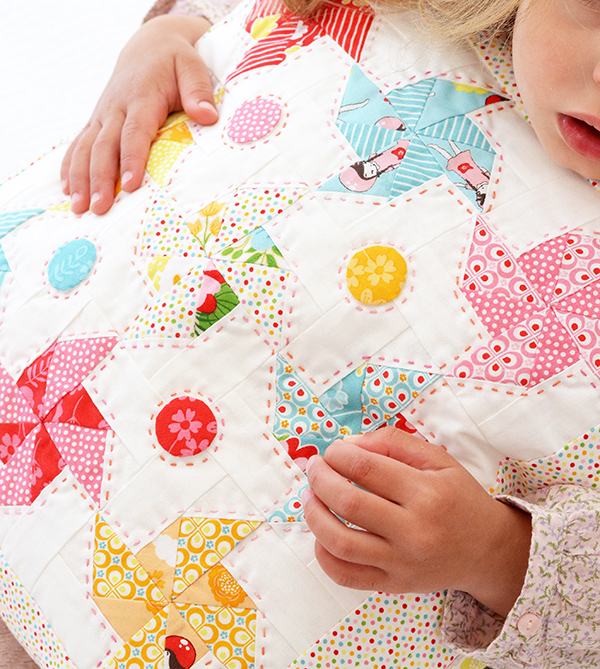 I always love pinwheel blocks of any form. Thanks for showing us yours. It's kinda beautiful post. 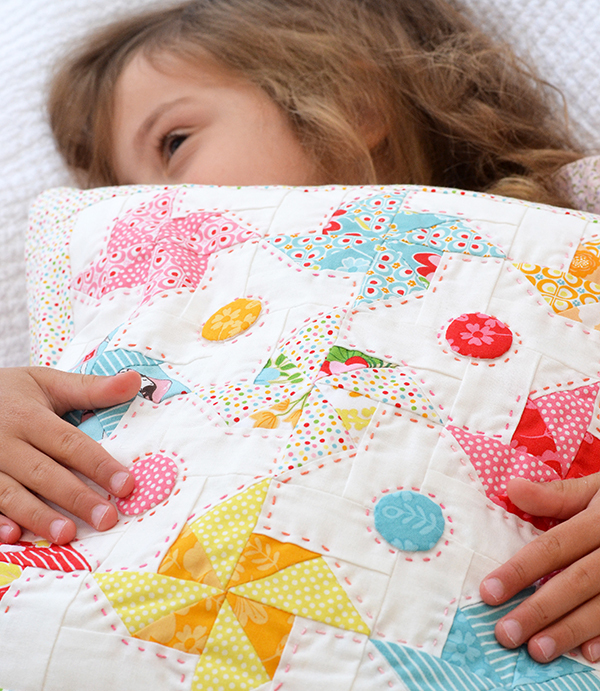 I like the designs of the pinwheel blocks. 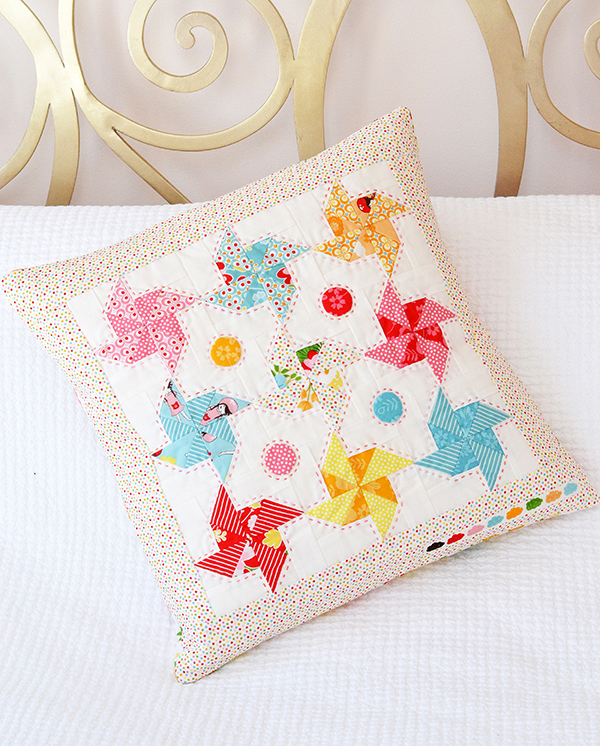 I also like pinwheels and I think that this is the most beautiful designs that I have seen among other different pillow works. X-stitch for Xmas: New Book!